ChaoticMind’s 2019 Plog. Ep 7: PHENOMENAL POWAH!!! Subject: ChaoticMind’s 2019 Plog. Ep 7: PHENOMENAL POWAH!!! So, after mumble weeks of lurking I’ve decided to make a go of actually posting regularly again. That said, my previous blog had already been resurrected... too many times. Part of the problem was framing device and foolish emphasis on clear-cut, planed results. Therefore I decided throw it out and start over with clear plan for what and how to write new posts. 1) Picture of the painting desk A.T.M. unless absolutely no progress. 2) One overall goal for the year, otherwise only “hoping to ___ later today” goals. 3) Simple clear record of progress on goal. 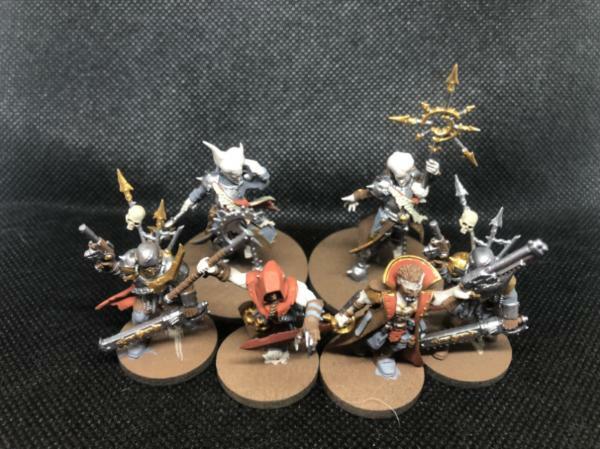 4) Finished pics, I’ll need to see about a simple “photobooth” setup. 5) Ramblings, including product opinions, fluff, techniques, and whatever I want to rant about. 6) Graceful, polished, and witty ending. 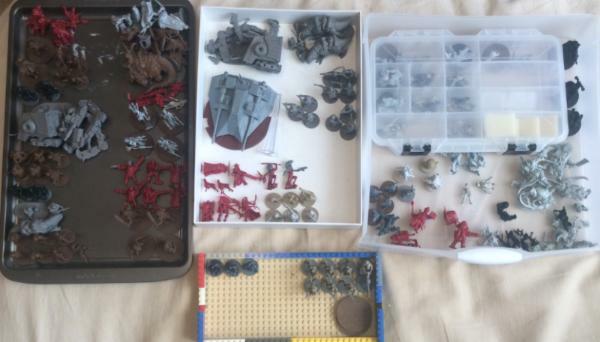 Taken earlier today, I currently have a Karist Nova, my “Movie Accurate” Imperial Assault figures and newly acquired Legion test dummies chilling waiting for appropriate “want to” or “don’t wanna.” The Nexu, Heavy Weapon Stormtroopers, Kayn Somos, Karist trooper leader and 2 special weapon troopers, and 6 Autorifle Cultists are the “true” current WIPs. 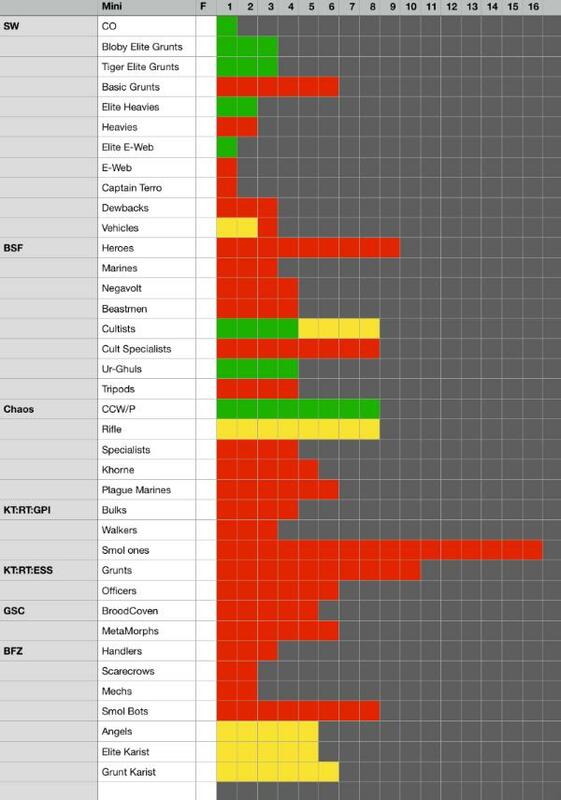 3) How I’m doing on my goal: Red is need to do, Green are done. Cookie sheet is the short-ish term planed order, white tray is khaki or khaki/olive drab paint schemes, plastic is other paint schemes, and the LEGO tray is a “holding cell” for WIPs that are waiting for more to get to the same point before I move to the next step. Also I have repeated an previous bit of encouragement and cleared a shelf for this year’s achievements. 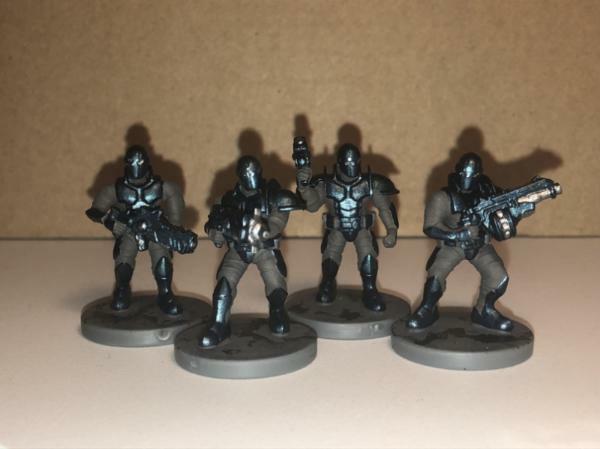 SW Legion Imperial Specialists to see just how bad scale is between Imperial Assault and Legion. My findings indicate good enough for me. 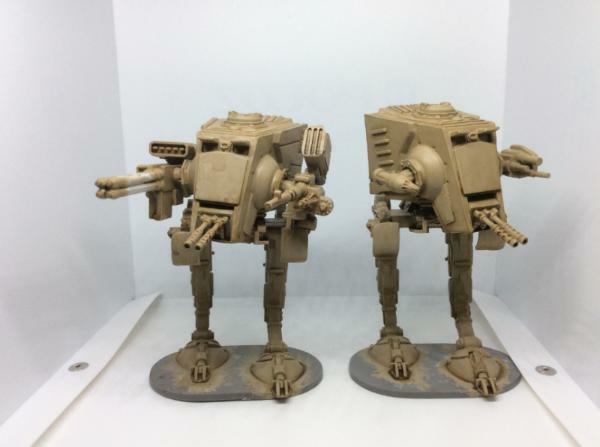 Imperial Assault models are the scrawny 5 foot nothing people and Legion is the 6’6” slabs of muscle. Also 5 Blick Red Sable 00 watercolor brushes for $18ish. Gave me around a 50% discount, there the right size for most of my work, and I’m hard enough on brushes it makes sense. Subject: ChaoticMind’s 2019 Plog. Ep 1: Lets get started! 0) Successfully responded to feedback. 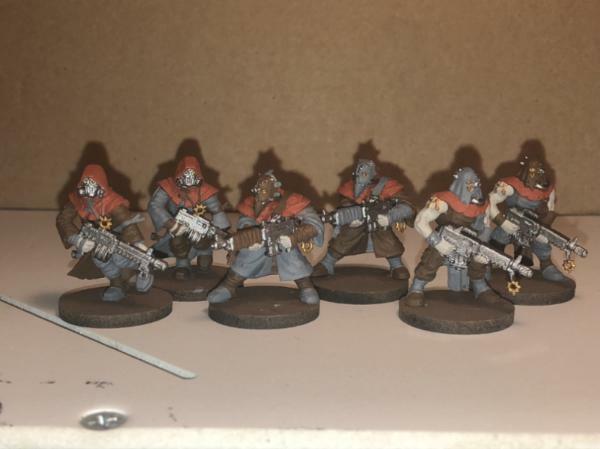 First 6 rifle cultists and all the Karist grunts are in holding, and the Imperial Assault “elite” Stormtroopers (minus Captain Terro/cammo print dewbackrider) and both Nexu have their main wash done. 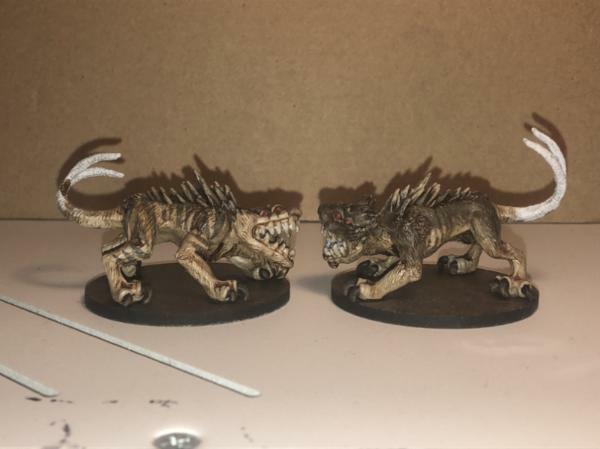 Hopefully I can blacken the bases, paint the guns for the Stormies and pinkify the mouths and tails for the nexu tomorrow. 2) Year long goal is doing well and achieved my “I need to go to work now so this is what I’ll do after work” goal. 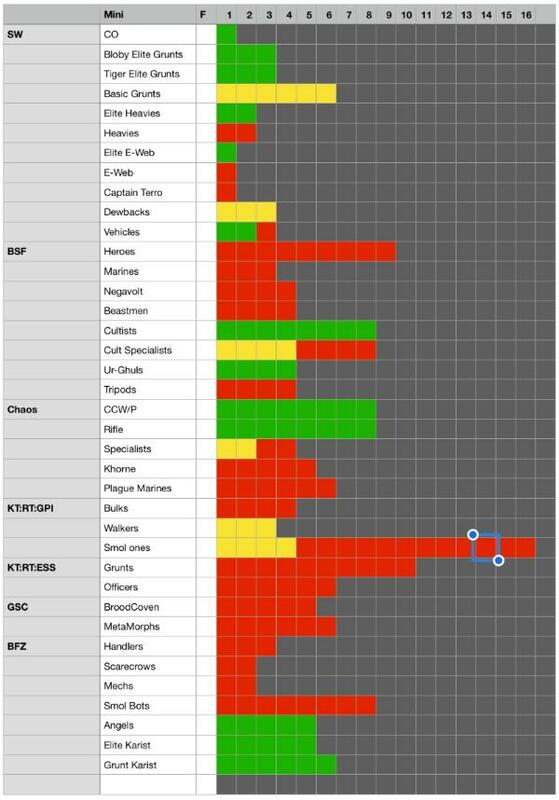 3) Updated my Spreadsheet with some yellow for WIPs. Now the stuff in the “holding cell” is accounted for! 4) Nothing more done yet. YET. 5) Can’t rant, need to sleep soon. 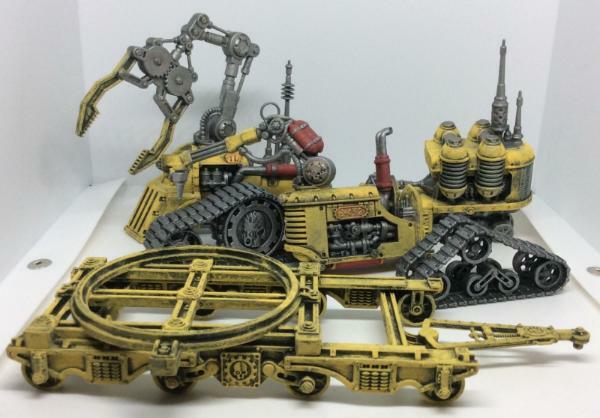 One thing I would suggest is that it may be worth getting some closer shots of some of your WIPs (and, when you get them, your completed models), as currently it isn't massively clear on where you're up to and how things are looking. Thanks, I find a simple, organized plan designed to handle the inevitable failure upon contact with the enemy (me and my impulsiveness) helps. I am unfortunately forced to agree with you 100% on doing better WIP shots. My ego thanks you and my laziness would curse you 40,000 times but it’s just to lazy. So, taking your advice I got off my ... you know, and actually figured out a functional method of taking WIP photos. Now I just need to work out finished photos and scheduling. 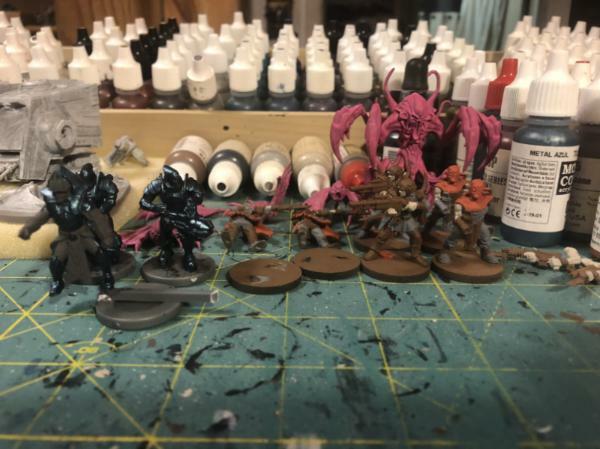 2) Scaling back yesterday’s hopes for today’s goal: Stormtrooper guns and the super-secret daily goal I hadn’t felt like mentioning; get at least an hour of painting done. 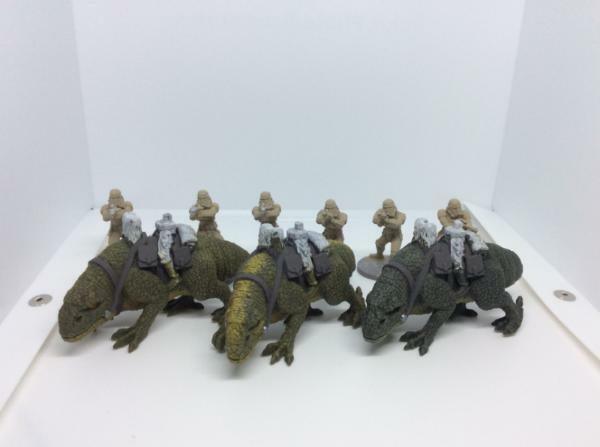 5) Really need to come up with a squad level transport for my Stormtroopers. I have a paper model I know will work and I have another to test out but as usual, I’m lazy. Also I ain’t blowing $50+ on the tank they’re releasing for SW Legion. Speaking of SW Legion, DARN MY EYES / THINKY BITS! I’m totally going to start getting SW Legion and I need to order 27!! Millimeter diameter by 3mm thick bases. Yes, really. 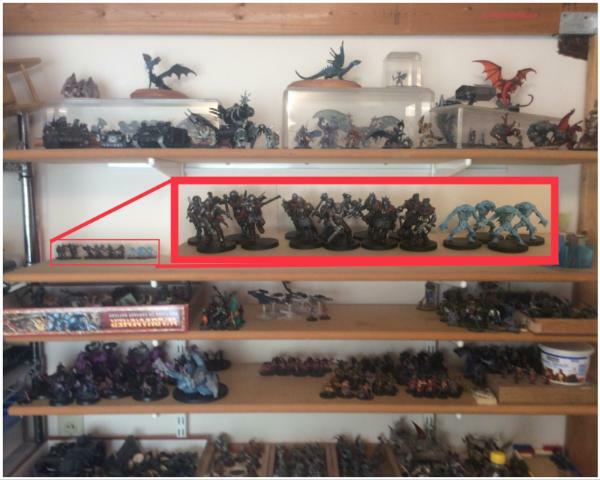 Fantasy Flight did that. The bases they come with are ~5mm thick which is what makes Imperial Assault stuff just a little too short to handle for me. 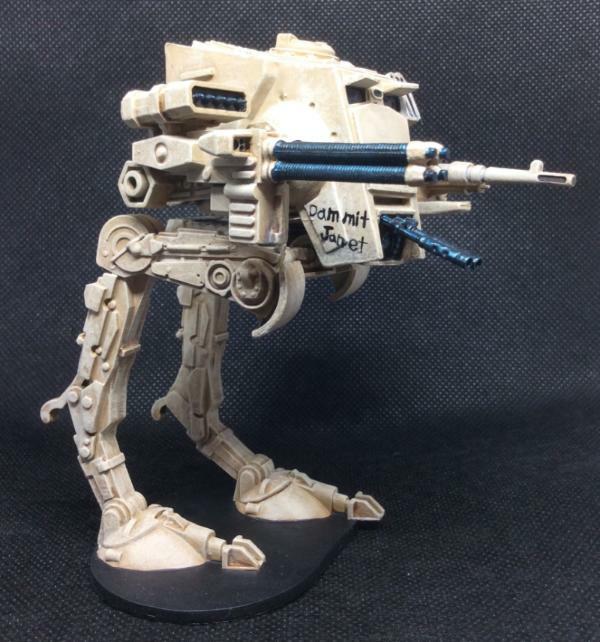 And as a public service announcement: GO VOTE IT THE DAKKA GALLERY!!! I too need to try and do this a little more often than... once a month or three? 6) Heh, I made a funny waaay back in my third sentence. Subject: Re:ChaoticMind’s 2019 Plog. Ep 2: Something got finished. Not much on the WIP front, Nexu got the first layer of pink on and test build of transport has results. 2) 10 Stormtroopers closer to achieving the goal! 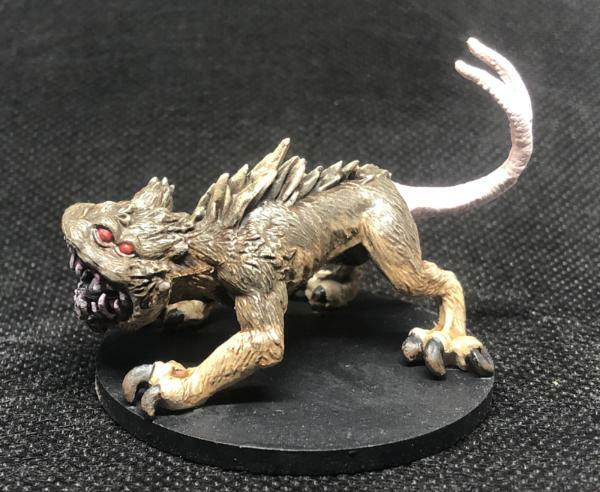 Hopefully today the nexu get finished and I get to gaming. 3) Official count: 22 of the goal, 0 extras. Not pictured 4 more grunts and a longrifle trooper. I really need to figure out a better photo set up. 5) So the paper models I found should work I just need to lengthen and widen the body. 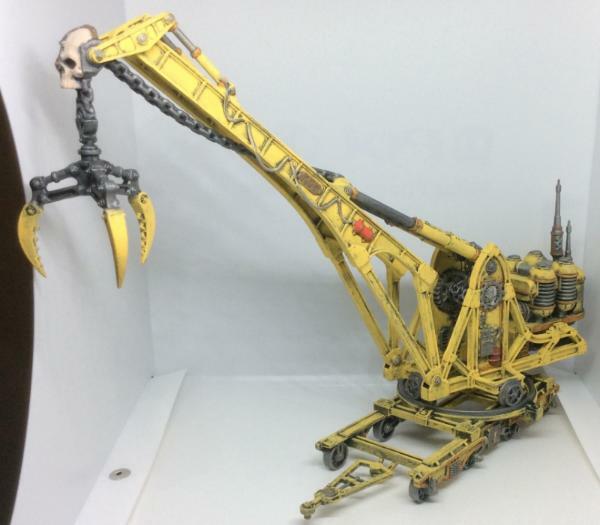 Going to build one in card stock with the changes included and then make a decision as to whether or not I’ll do a third build in plastic. Subject: ChaoticMind’s 2019 Plog. Ep 2: Something got finished. If you're wanting to improve your pictures, dude, see if there is a version of this lightbox available from your local version of Amazon. Mine cost me about £10, and (now I've figured out the phone settings to use) it is making a big difference to my final photos. I was planning on refurbishing one of the 3? Or so options we had in the house but I decided to go ahead and take a look for something like the one you linked. Glad I did, better size and easier to setup than anything we had for a very reasonable price, less than $20 in all. I actually wound up with the exact one you linked just from a US based source. Still needs some refinement but definitely better. 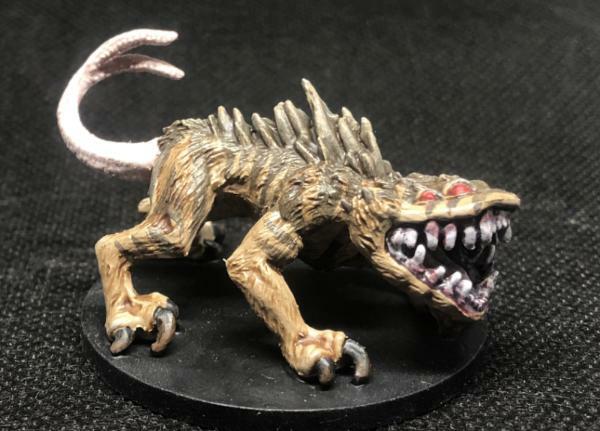 2) Nexu done! 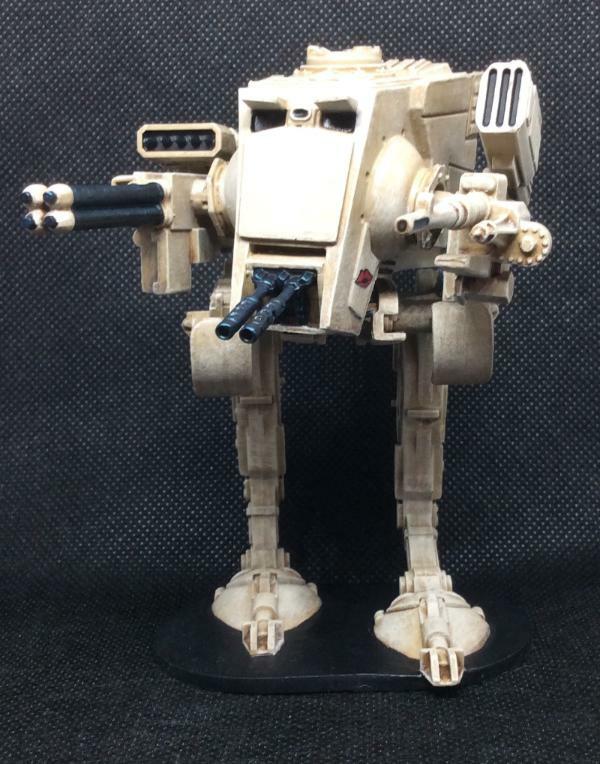 AT-STs are next for Imperial Assault because sometimes a crazed headlong charge is the best chance you’ve got. But today I’m hoping to get the grey and blue on the current batch of Karists basecoated and another coat of pink on the angels. 3) Current progress: 26 from the grid, 2 extras, 12 in holding. BAD KITTY! BAD KITTY! AAAAAA!!!! 5) Ramblings: Sometimes throwing money at the problem to make it go away is the right choice. 6) ... I got nothing. Hopefully I’ll have another early morning (for me) update tomorrow. Subject: Re:ChaoticMind’s 2019 Plog. Ep 3: Diving in headlong. Not as bright as I’d planned but I just don’t care enough to bother fixing them. 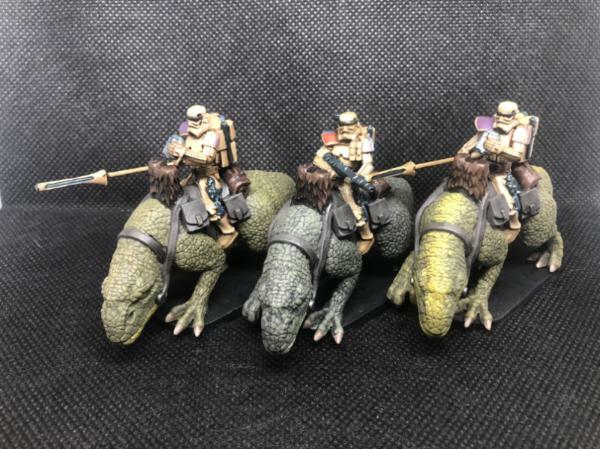 The dreaded AT-STs, I’m just going to do metallics, wash, and drybrush. 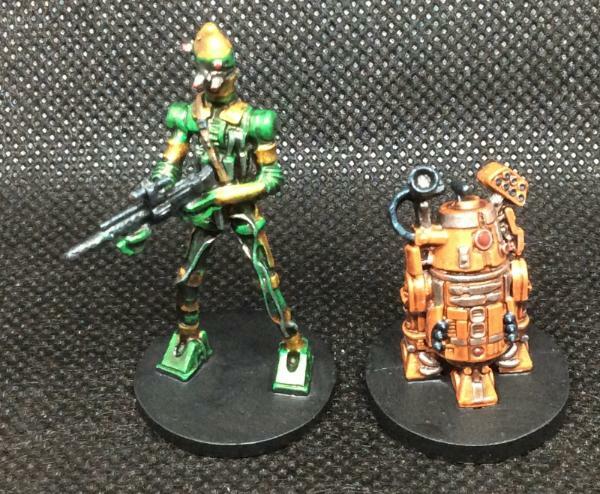 Assassin droids, BT “Boomer” & IG-86 “Acyd” models are Imperial Assault BT-1 & IG-88. Based on what I found on Wookiepedia the IG-86 line was almost visually identical to IG-88 but had more than 4 prototypes produced and there was a whole line of assassin droids that look like astromechs called Blastromechs. 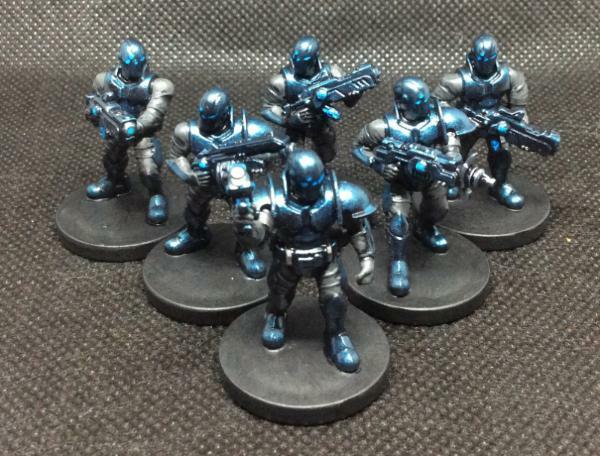 Karist force, wash and detailing still to come. 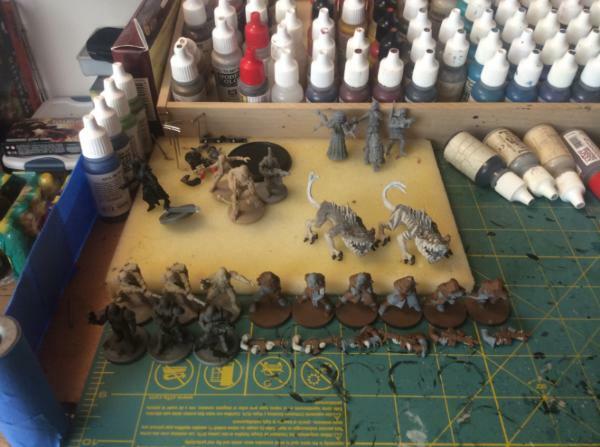 2) No goals beyond do some painting today. 4) Finished pics... maybe tomorrow. 6) By the squirrels in my head I will conquer this horde! "By Grabthar's hammer, you shall be avenged!" Subject: ChaoticMind’s 2019 Plog. Ep 3: Diving in headlong. Looks like you're making decent progress, dude - and glad the lightbox seems to have helped. Meer_Cat wrote: "By Grabthar's hammer, you shall be avenged!" Not the reference I was thinking of, but I like it! And thanks for looking in, I was starting to worry only Dysartes had seen this blog. Dysartes wrote: Looks like you're making decent progress, dude - and glad the lightbox seems to have helped. 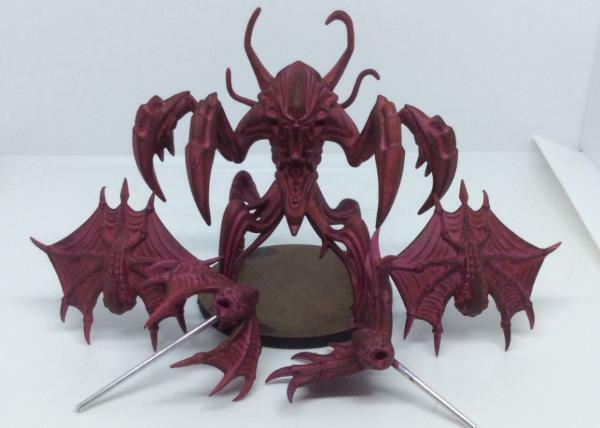 Thank you, I’ll be the first to admit I paint for the table top. Could I do better? Definitely, but that’s not what I’m interested in doing. The light box was an excellent suggestion, now if I can just quit puttering about and get the laptop I’ve been saving up for I might actually bother with more than just cropping the pictures. CommissarKhaine wrote: Excellent progress, keep it up! 1) Picture of the painting desk A.T.M. unless absolutely no progress. 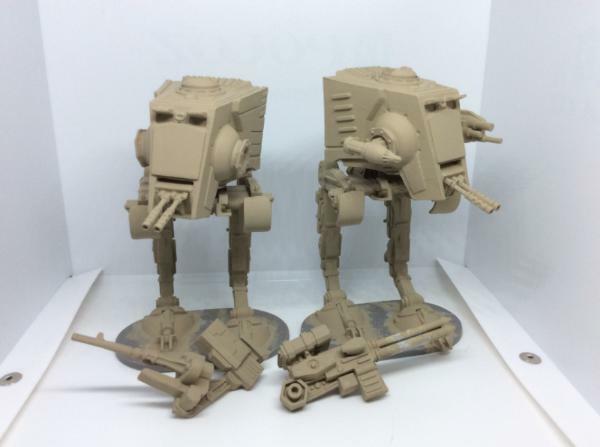 It’s all primer coats right now soooo... AT-STs! I actually have highlights added and the nose art started since this was taken but I’m to lazy to take another picture right now. 3) 58 done this year. 54 from the grid, 4 extra, nothing in the holding cell, and 15 on the desk at the moment. 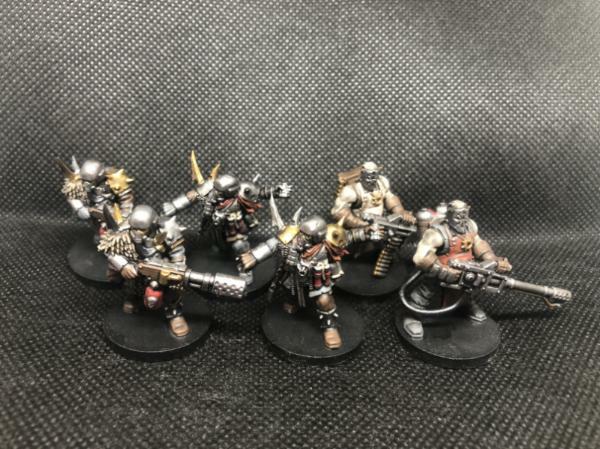 4) Finished pics. RELEASE THE DELUGE! 5) Ramblings, including product opinions, fluff, techniques, and whatever I want to rant about. 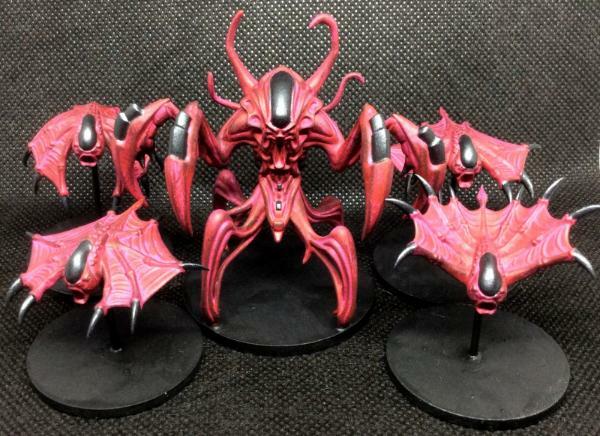 I put 6 brand new items and 3 on sprue minis into the FLGS’s upcoming auction yesterday. Almost all of it for well below MSRP because I logically knew I had NO use for it and I didn’t need any temptation. The only thing I put in close to what it was worth was a mini that has only just hit retail that I’d gotten (as far as I was concerned, free) as part of a Kickstarter. 6) Goodnight! I go bed now. 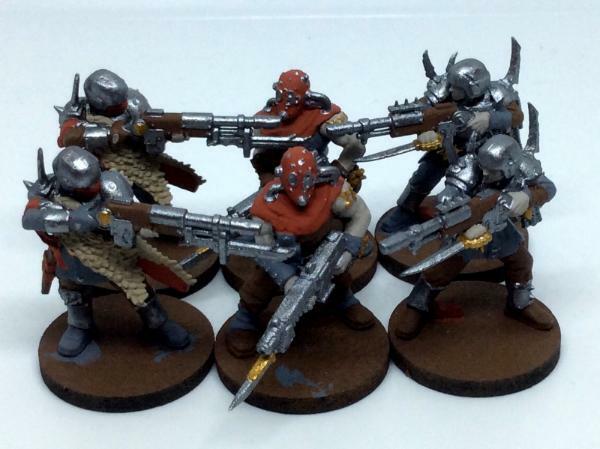 Some seriously nice work with metallics in these pics! 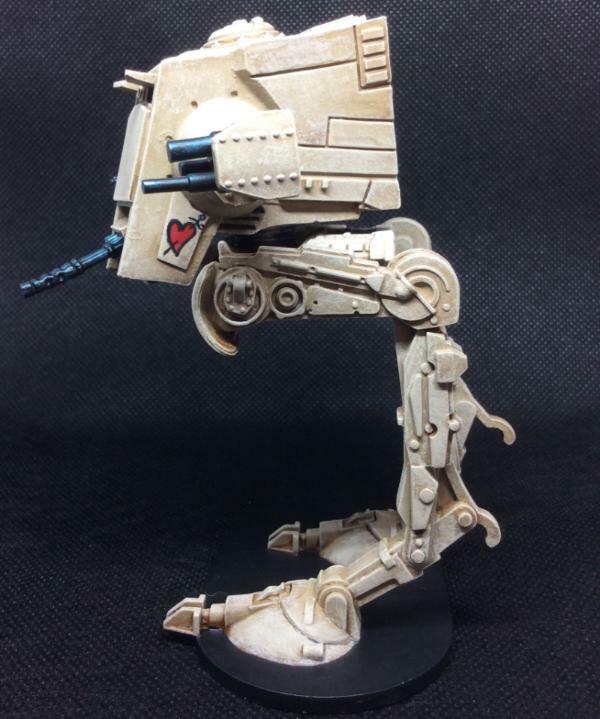 The dang AT-STs are done. 0) Thanks, although to be honest they’re all really simple; 1-3 coats straight from the bottle and a wash. 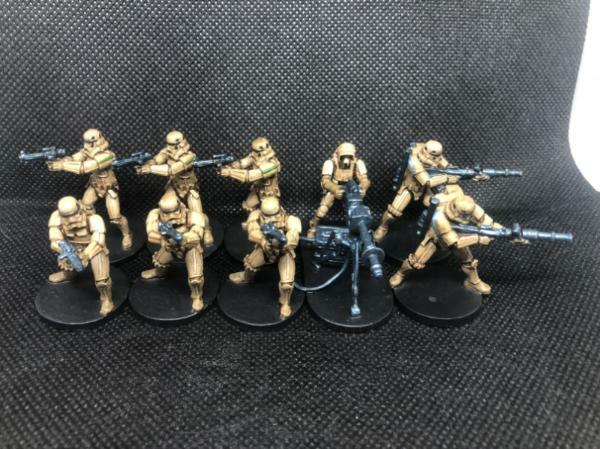 Hoping to get the Basic Stormtrooper Grunts basecoated and a bit more done. 60 done now. 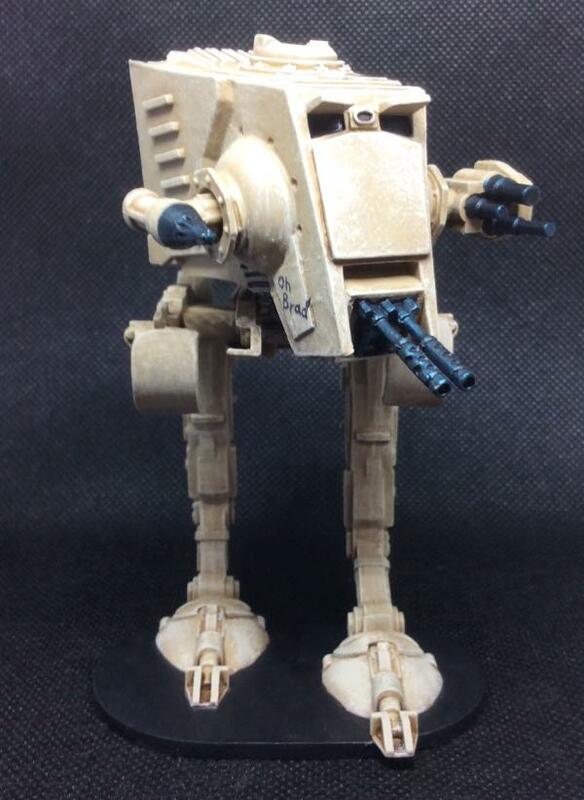 Those AT-STs are done. 5) ... I got nothing right now. Subject: ChaoticMind’s 2019 Plog. Ep 4: MWA HA HA HA!!! Interesting tone to take from them, as well - I'm getting a bit of a 40k Wraithbone feel. I sincerely doubt it. However, to be fair I did add the name side missile rack and swapped the wonky slug thrower barrel with four monster truck shocks laser cannon barrels. 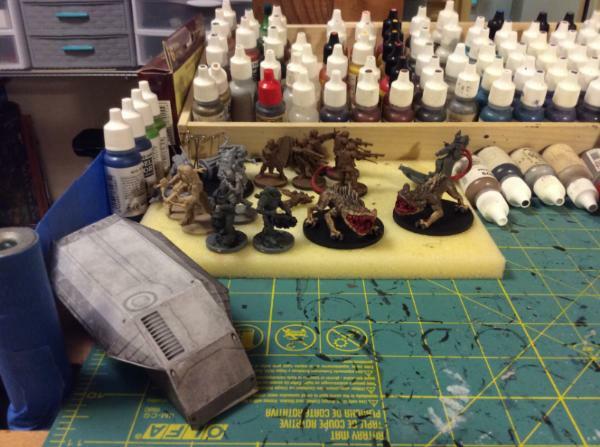 Yeah, they were supposed to match the Stormtrooper armor but washes+big flat surfaces=nope. Still, I think it works as a bleached sand finish. 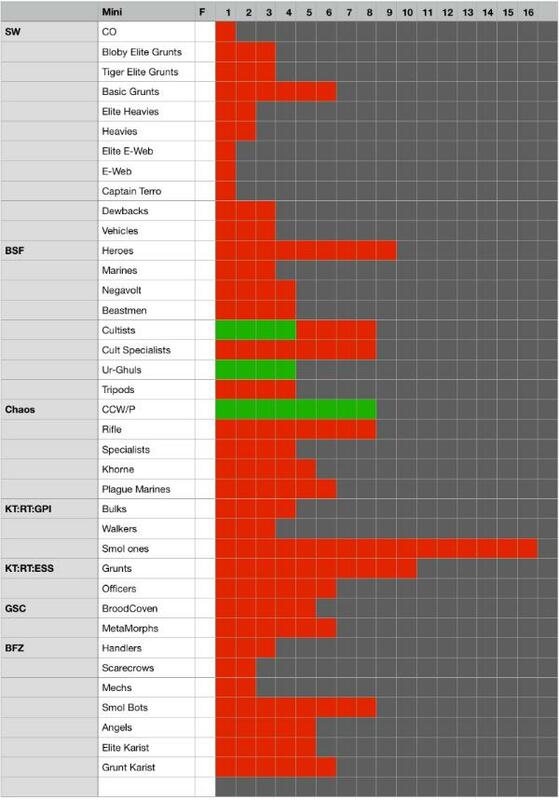 All that was done before the dread Blah hit. And yesterday’s “I actually WANT to paint.” They started at black primer. I’ve been bad. See below at #5, first bit. 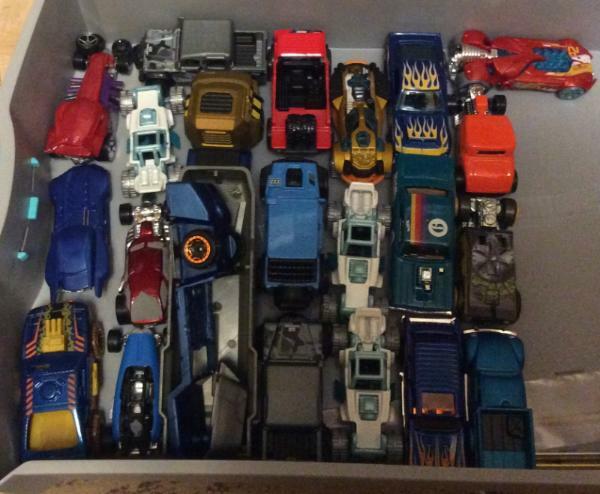 So just for fun I maaay have picked up a couple cars for Gaslands-esque shenanigans. And then a couple more. And it snowballed. At least I now have the rules? Unfortunately it gave me an EXCELLENT excuse to get the semi. Been just... “blah, I dont wanna” recently. Getting any painting done felt more like a chore that I should be doing and nothing was looking good in the ignore WIPs and do what calls to me department. Thankfully I broke through it yesterday. (Semi) mature self analysis of blahs root cause. Feel free to ignore. I suspect it was either an undiagnosed mental issue rearing its head or I was just virally ill because I most of the time I was either sleeping or doing the bare minimum to exist. I have several friends with a variety of mental health issues and the rest are all supportive so I’m aware of more than the simplest symptoms. There’s also a diagnosed family history across multiple generations back to ... a great grandparent? at least so I know to keep an eye out and if I need help it IS there. Not looking for sympathy/suggestions/whatever, I just know who I am. When It comes to stuff like this either I bottle things up or I confront them head on. I realize this probably isn’t the best place to go into this but I’ve typed it up and since I’m willing to put it out there anyway probably healthier to leave it (Confront) than delete it (Bottle). I seem to be able to better analyze things when I write it down even if it’s exactly the same as whatever is rolling around in my head. 6) Me stop now before feedback loop / circular gibbering start. Subject: Re:ChaoticMind’s 2019 Plog. Ep 5: Blah defeated! Very much like all the work you've shown here- particularly like the tractors set. I can do "military grubby" weathering- I saw enough of it over 30 years, but I can't do (very well yet) normal, 'civilian' wear and tear. 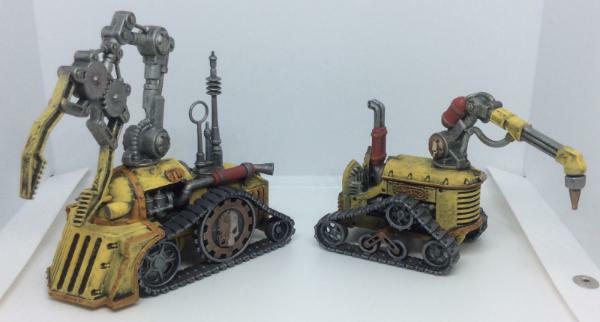 I'm working on chipping and light rust, got some good feedback on my last project- the yellow fleet you have here is really well done. As for anything else, you know yourself, the painting/modeling comes as it comes. The Dude abides! Thanks, but I think you’re overestimating the weathering on the tractors. 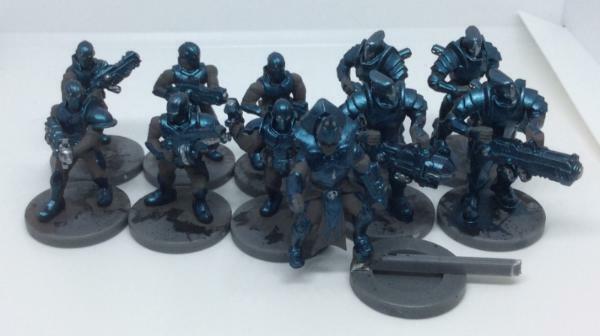 They are juuuuuuust barely above the lowest level of painting. Literally sloppy drybrushing over black. 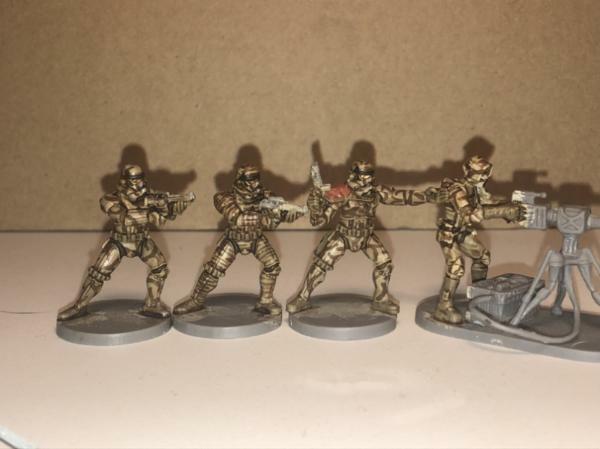 Just base coating Stormtroopers khaki, so too boring to bother. Minimal work on the year goal but tertiary goals are progressing. 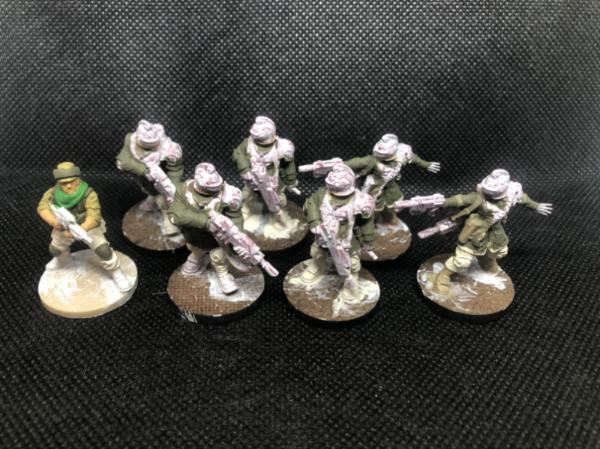 My goal for St. Patrick’s Day is the Stormtroopers ready for their first wash.
Subject: ChaoticMind’s 2019 Plog. Ep 5: Blah defeated! Are you gluing those crates together in stacks, or leaving them as individuals so you can set them up as you wish each game? 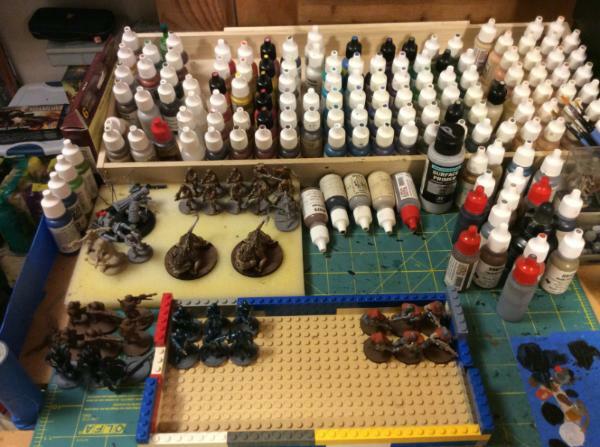 Aside from some I'm using for basing, that's kinda my problem with all the crates and barrels I have from those sprues. Dysartes wrote: Are you gluing those crates together in stacks, or leaving them as individuals so you can set them up as you wish each game? I’m leaving them loose for now, if I had more I’d probably go ahead and glue up some stacks. 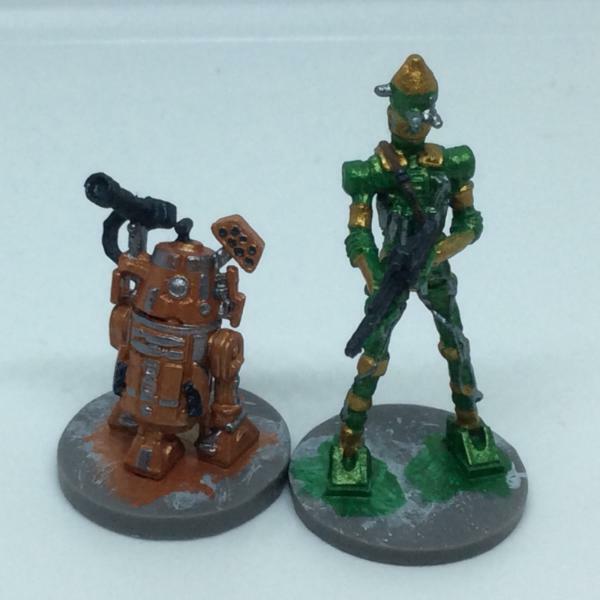 I’m lucky to get one game of Malifaux (steampunk) or The Other Side (more steampunk) a week so I don’t actually plan on using these for play any time soon. Back to work on the year goal, misestimated work needed yesterday. On the upside, markings! Maybe by the end of today I’ll have them ready for a wash.
Subject: Re:ChaoticMind’s 2019 Plog. Ep 7: PHENOMENAL POWAH!!! 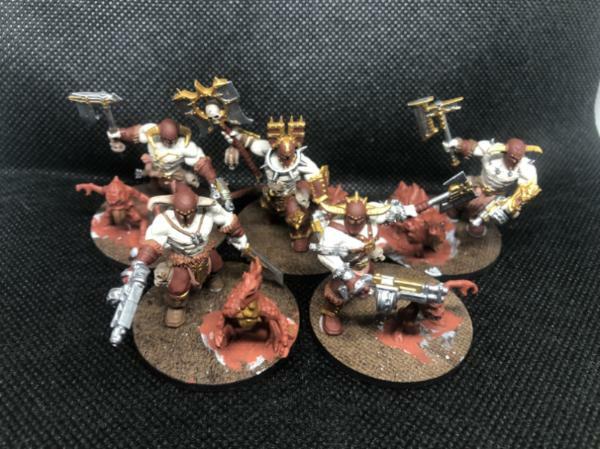 Chaos cultist leader/priest/mage types are almost done. 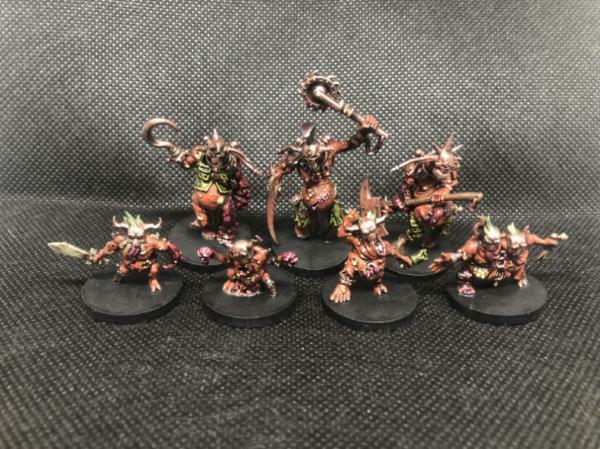 The cultist berzerkers I kitbashed from AoS easy builds, Orlock spare parts, and Reaper mini gribblies. Again almost done. Need to get that on to the new 'puter. total is now at 92 for the year. I had forgotten how nice a full computer is.